Founded just outside Milan, Chicco is the global expert in everything baby. The brand's rich legacy of design, quality, and innovation carries through into its best-in-class products and services. Chicco brings more to the table than just sleek and stylish designs – the brand has decades of knowledge and expertise that is extremely valuable to new parents. 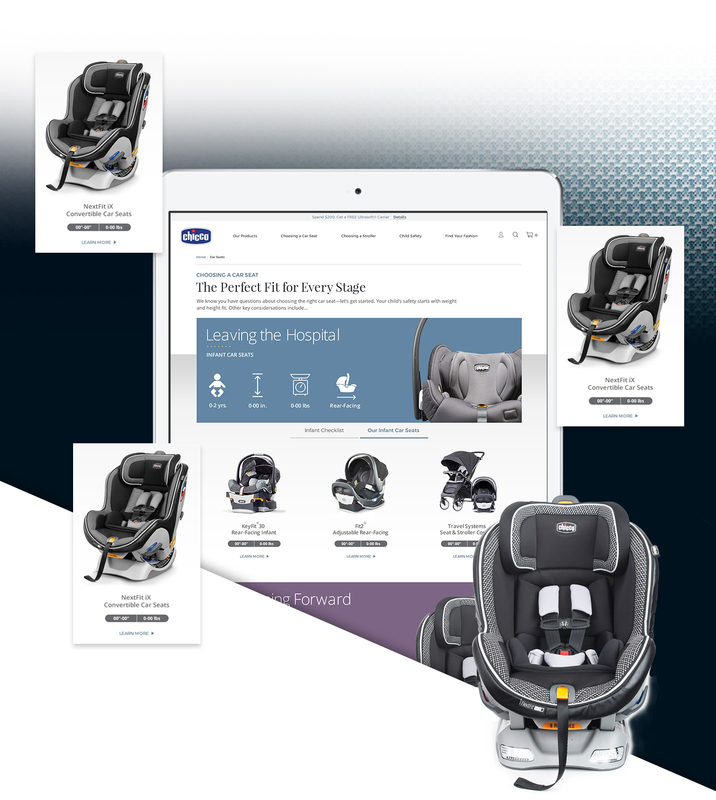 Chicco wanted to revamp its digital experience to mirror this thought leadership and create an online journey that enables customers to more than simply order products. 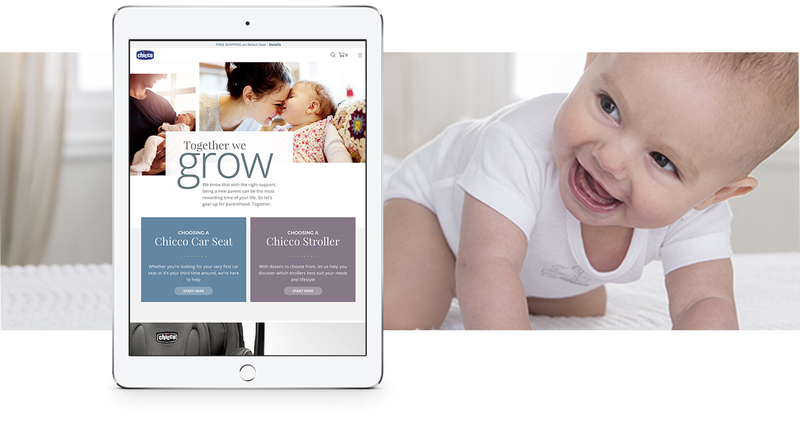 Chicco turned to LYONSCG to design a new branded site and implement it on Salesforce Commerce Cloud. 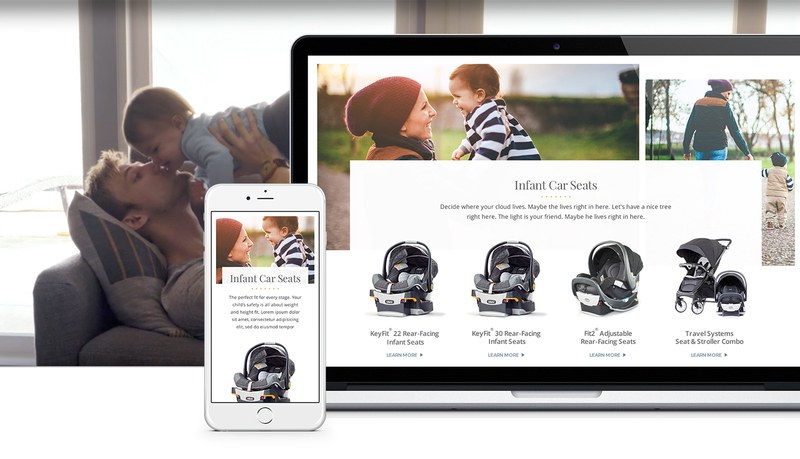 This included building custom guided selling functionality and curating high-end content to creat an experience that guides new parents through the entire buying journey. True to Chicco's passion for elite design, LYONSCG's work took home Horizon Interactive's prestigous "Best In Category" Award in 2017.